Item # 296944 Stash Points: 1,999 (?) This is the number of points you get in The Zumiez Stash for purchasing this item. Stash points are redeemable for exclusive rewards only available to Zumiez Stash members. To redeem your points check out the rewards catalog on thestash.zumiez.com. 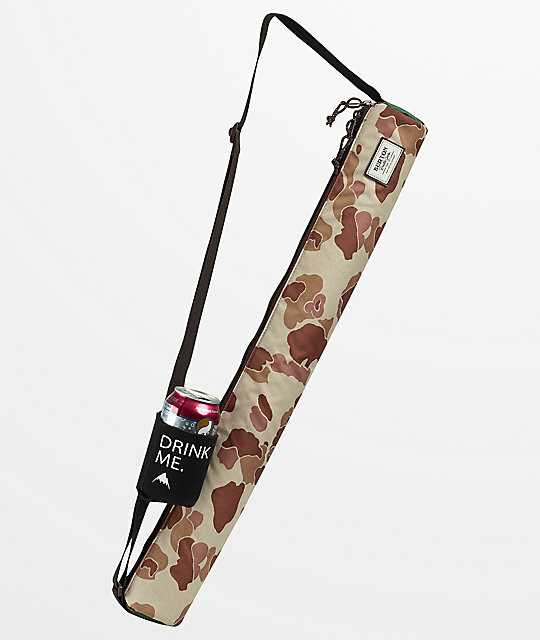 Make sure your 'sodas' stay cold and secure in the Burton Beeracuda Insulated Beverage Sling. 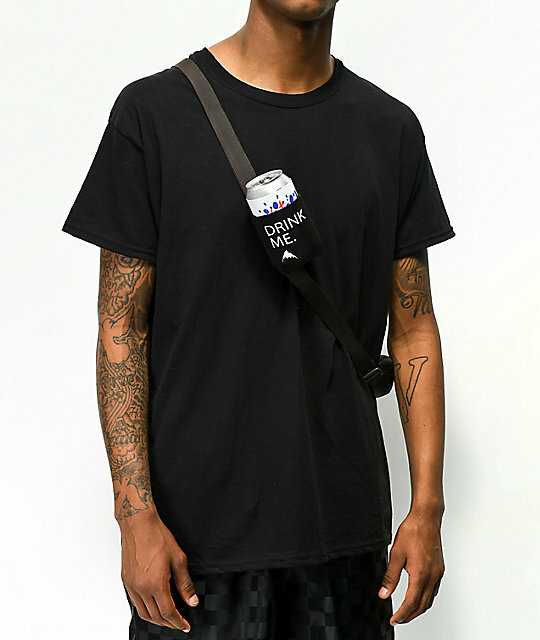 The Desert Duck Beeracuda offers a 2-liter carrying capacity that holds up to six cans when counting the beverage holder which is attached to the adjustable shoulder strap. Burton's Desert Duck Beeracuda features a khaki colorway with a light brown and dark brown blotch design throughout. Beeracuda Desert Duck Insulated Sleeve Sling from Burton. Khaki and brown Desert Duck Camo exterior. Insulated beverage sling holds 5 12-oz cans. 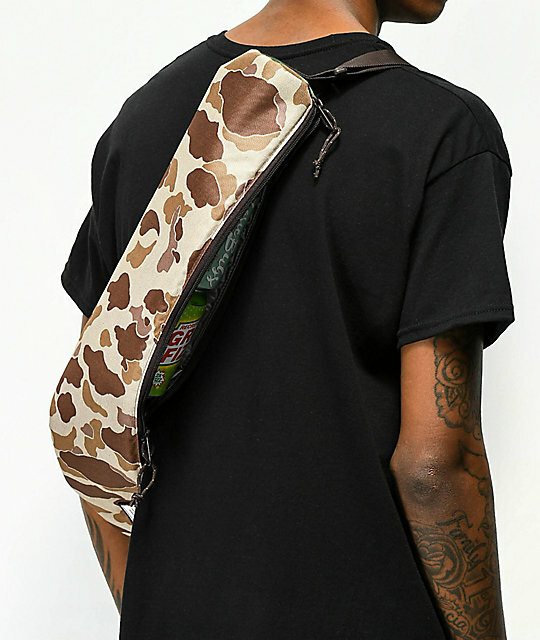 Removable can cooler attached to shoulder strap. Dimensions: 26" x 3" x 3" (2L) | 66 x 7.5 x 7.5cm.